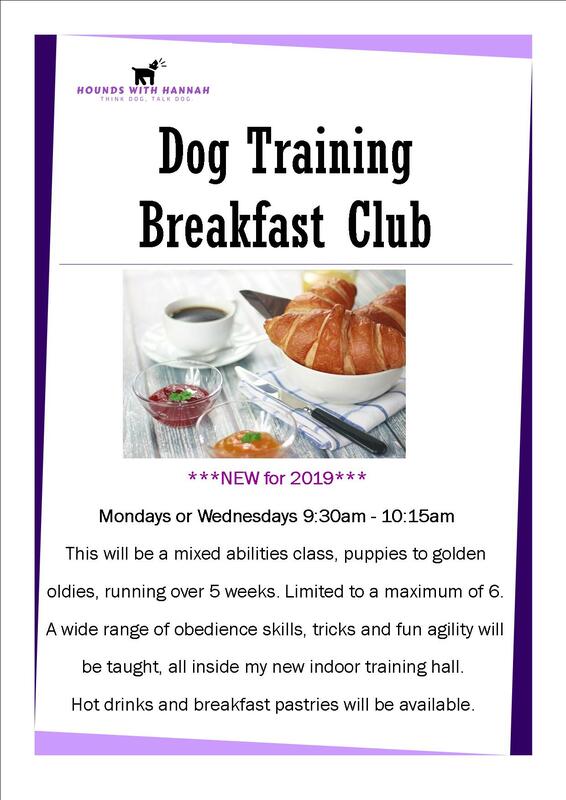 This will be a mixed abilities class, puppies to golden oldies, running over 5 weeks. Limited to a maximum of 6. A wide range of obedience skills, tricks and fun agility will be taught, all inside my new indoor training hall. Hot drinks and breakfast pastries will be available.